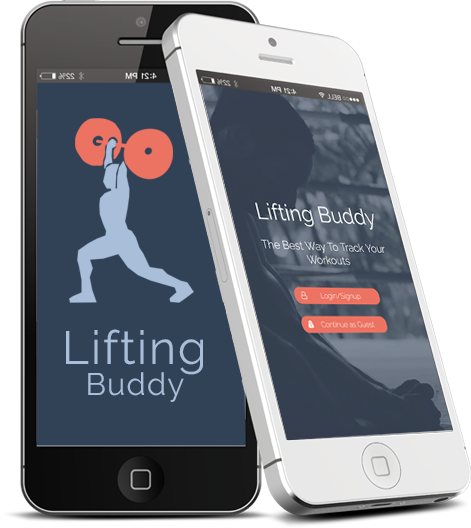 Lifting Buddy is designed to be a simple to use workout tracker. Simply enter in your lifts using your own custom name and it will conviently save that infomation. Later you can view your previous lifts through a handy table or graph view to help visualize your progress. Also included is free access to backup all your lifts to our secure servers. Account sign up is free, and once you do you'll get the convient ability to sync to our servers, and also revese sync you lifts across all your devices. It couldn't be simpler! Lifting Buddy is built to be used by anyone. 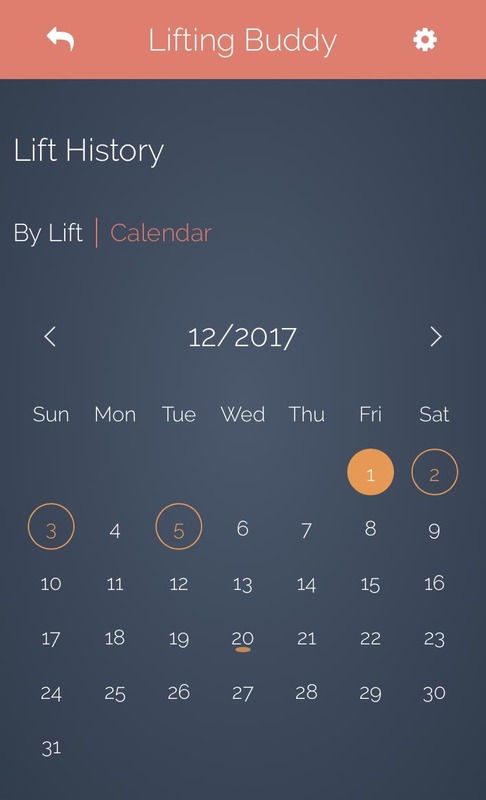 We've designed it to serve a single purpose of tracking your lifts, and that's all it will ever do. No adding in un-needed features that just serve to bog things down. By signing up for a free account you'll get access to sync your lifts to our secure servers. You'll then have a safe place to back them up, as well as being able to sync your lift data across all your mobile devices. With simple to use graphs visualizing your lifting, reading your data has never been easier. Hone in on your progress with handy graphs and charts to quickly see your improvement. Using our simple interface easily add lifts to your workout. Spend less time in the app, and more time working out! Handy graphs help keep you on track. 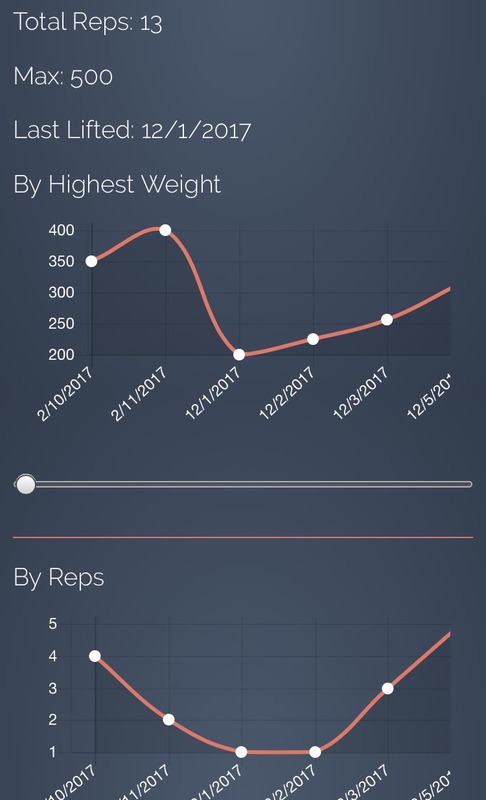 With graphs for weight and reps, you can keep track of what matters to you, and quickly find areas to improve. The calendar view gives you the abiltiy to quickly view past workouts. Figure out what you did last week, and keep motivated to always outperform yourself! 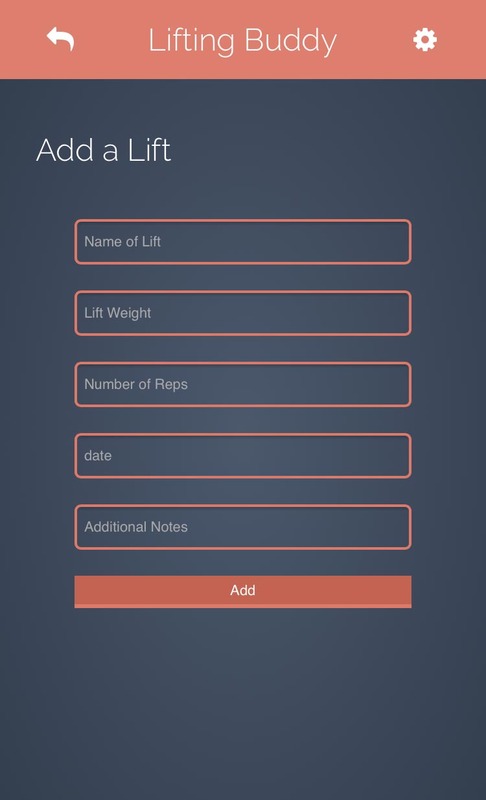 Lifting Buddy is currently available as a mobile app for IOS. Follow the download link below to being trackig your lifts. You'll receive all the great features mentioned (and more) all for free! Android version is currently in development, and should be released soon!